Not long ago I got a chance to explore an incredible country once again. Turkey is a cocktail of traditions and spices. The magical sounds of Turkish melodies will make your soul fly, while delicious food and desserts leave no one indifferent. 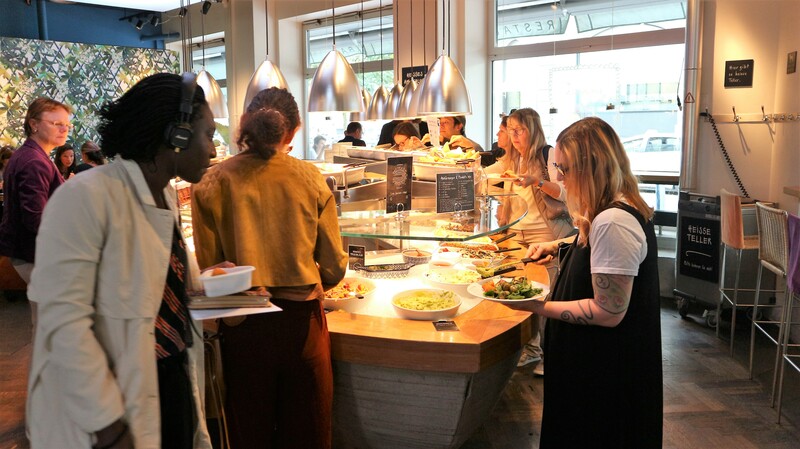 I tried many delicious vegan and vegetarian Turkish dishes. Below are my top picks of Turkish vegan refreshments. The first thing I order in a rush after a flight was an incredible lentil soup. 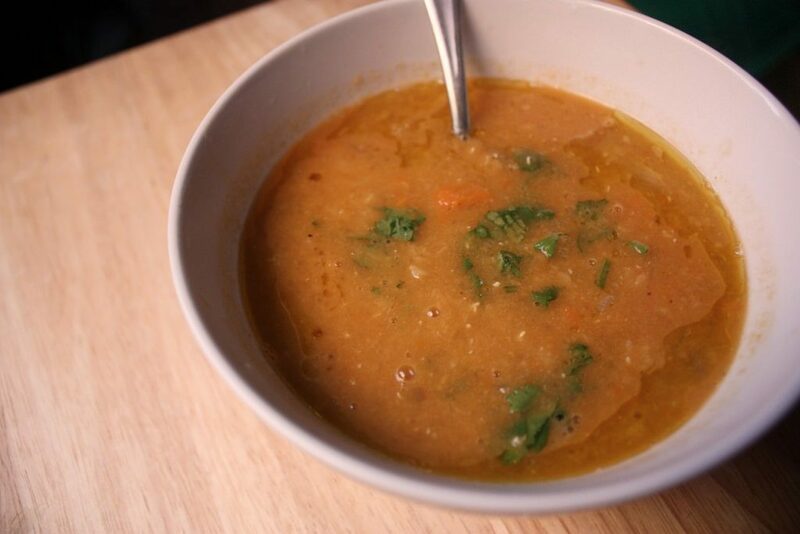 Turkish lentil soup is a tender, slightly savoury and nutritious soup. It is usually served with a large slice of lemon. Lentil soup in Turkey is prepared solely from red lentils, as it is most easily crushed, after using a blender. Interestingly, this red lentil soup is served all year round in Turkey. It is a fact that there are millions of fans of this quick, but incredibly delicious Turkish lentil soup all over the world. I tried to explore a little bit more into its recipe. They boil red lentils for a long time until it becomes a puree. Later they add onions fried in olive oil onions to it and cook again with the addition of salt and spices. It is served really hot with salad of tomatoes and basil, seasoned with vinegar and spices. In Addition, do not forget to squeeze fresh lemon. It is very tasty, and it is worth saying that it is very nutritious! Borek is a category of food. It is basically baked and stuffed pastries. Turks use a thin flaky dough to prepare it which is known as Yufka or Phyllo. It has a crispy texture and is an easy finger food. You can fill it with tomatoes, cashews, spinach or feta. My favourite Turkish vegan borek is the one with spinach filing. Turkey can get really hot in summer. There is no better way to hydrate yourself with a delicious traditional Turkish apple tea or pomegranate tea. These teas are consumed without adding sugar and have a light sour taste. The culture of herbal and fruit teas is popular in Turkey. 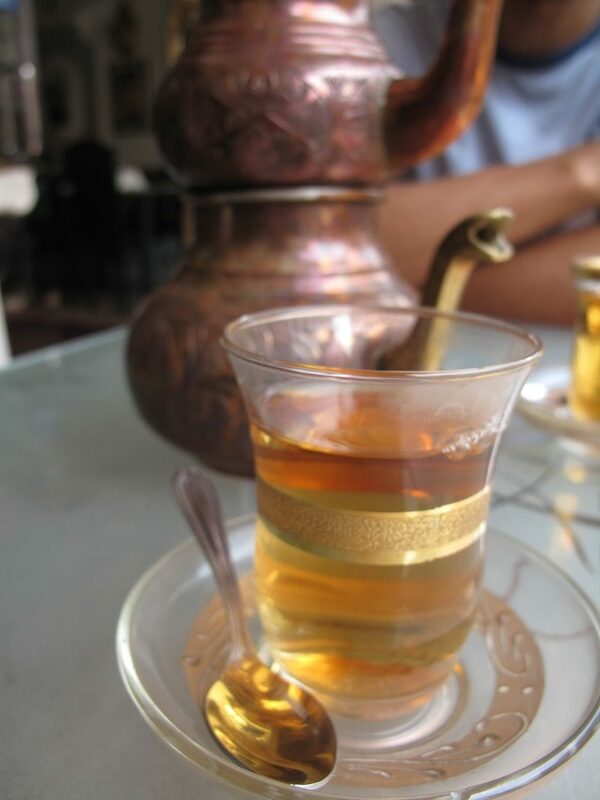 There are two types or Turkish tea – natural and powdered. The tea is served in special cup, which is similar to miniature amphorae. Turks love to drink tea or coffee over long conversations. 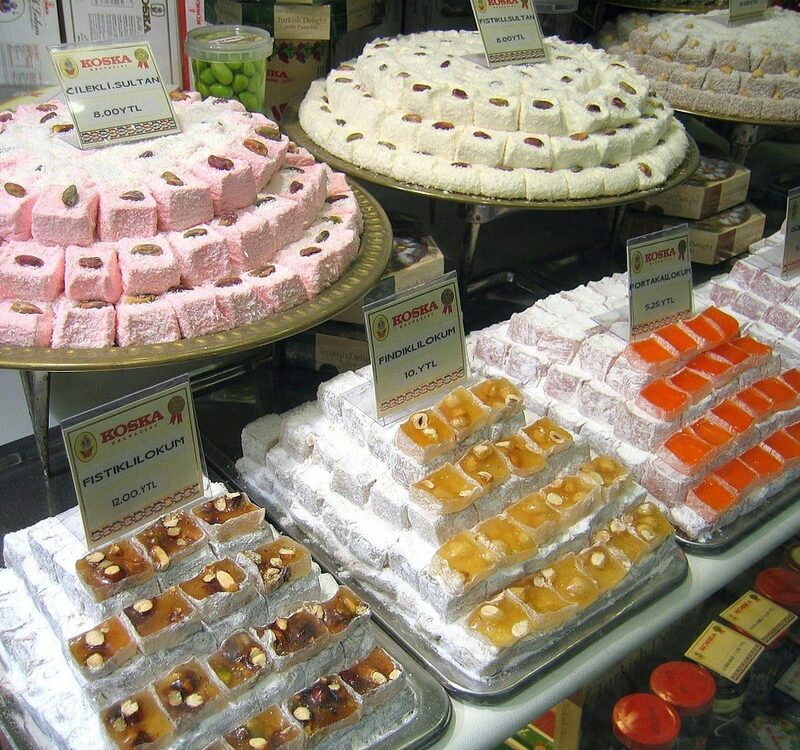 It is common to pair tea or coffee with traditional Turkish sweets. 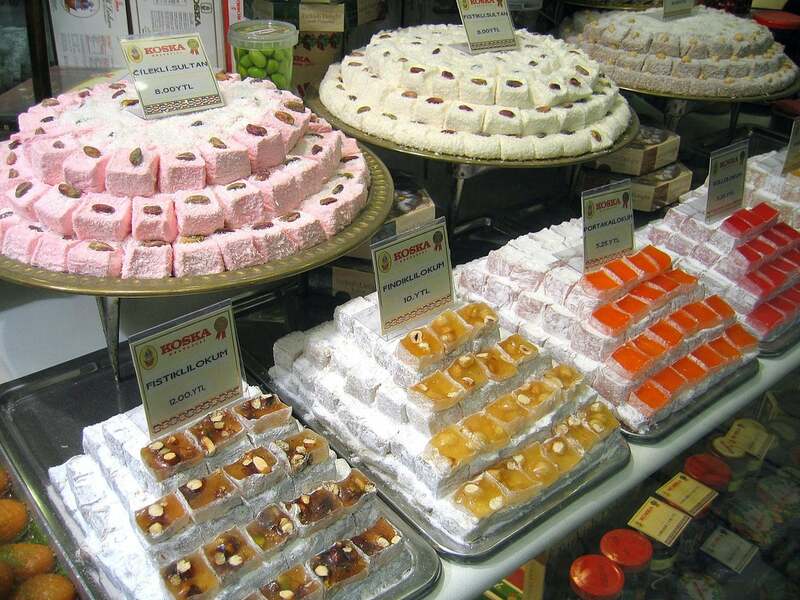 Turkey is known for its delicious desserts and it is a paradise for sweet tooth. The most famous sweet is Rahat-Lukum, which is simply known as “Lukum”. It is a confectionery product made from sugar (rachat-luucum), flour (shaker-lucum), with the addition of starch and nuts: (pistachios, almonds, coconuts, etc.). I did not include this in top 4 Turkish vegan refreshments above because Baklava contains honey, which is not vegan. If you like honey, then try Baklava. Baklava is prepared from the finest puff pastry with nuts and soaked with sorbet. Depending on the baklava stuffing, it may have different names such as, Jewelle (cevizli) – baklava with walnut, fystykly (fıstıklı) with pistachios, fındykly (fındıklı) with hazelnuts. 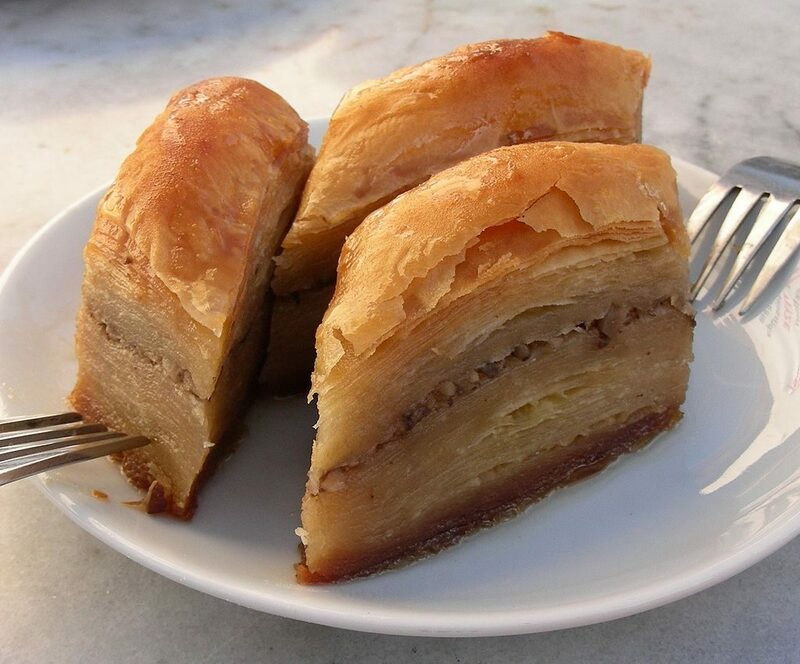 Sometimes baklava may contain cocoa or chocolate – “cocoa baklava” (kakaolu baklava) or “chikolataly baklava” (çikolatalı baklava). The very idea of ​​these delicacies is appetising. Turkey is a famous destination for its history and culture. While you are enjoying exploring this beautiful land, which one of the above vegan Turkish refreshment will you try? Hello! Thank you for reading my article! I am Inna, a graphic designer and an avid traveller from Ukraine. If you have any comments or suggestions please leave a comment in the comment box! 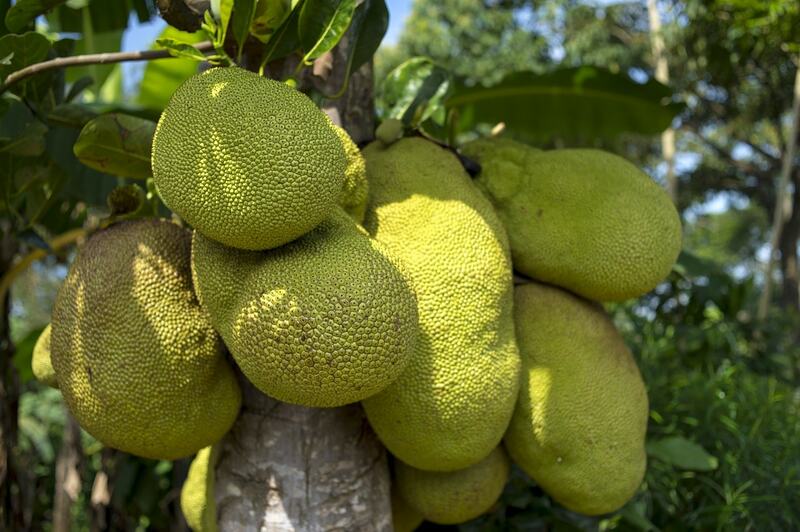 Jack of all Trades – Why Kerala loves its Jackfruit!